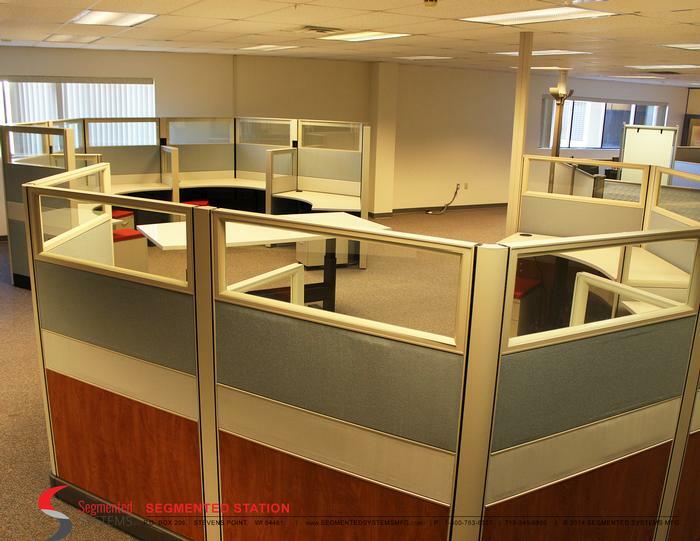 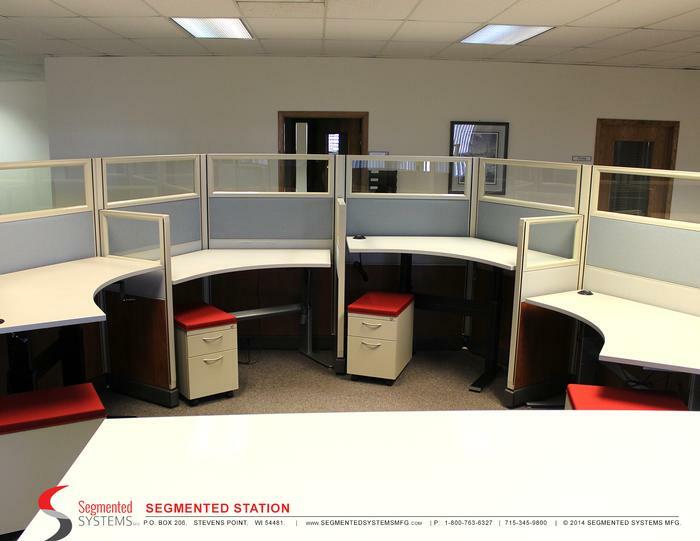 This is a custom designed project created using Segmented Systems. 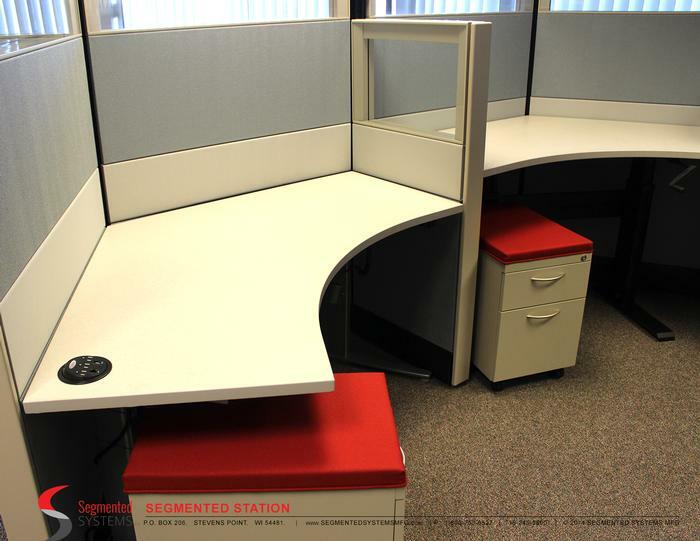 The work surfaces were custom designed and placed on adjustable height bases as requested by the client. 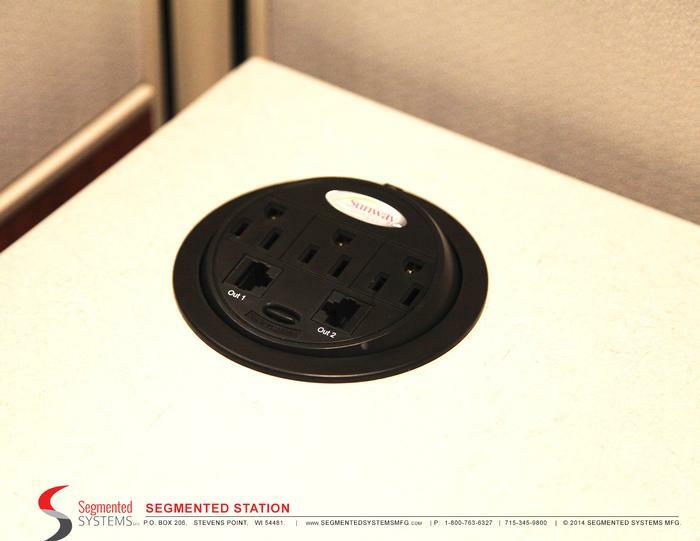 The center conference table uses a dry erase marker board material as a finish, which facilitates brainstorming sessions and note taking. 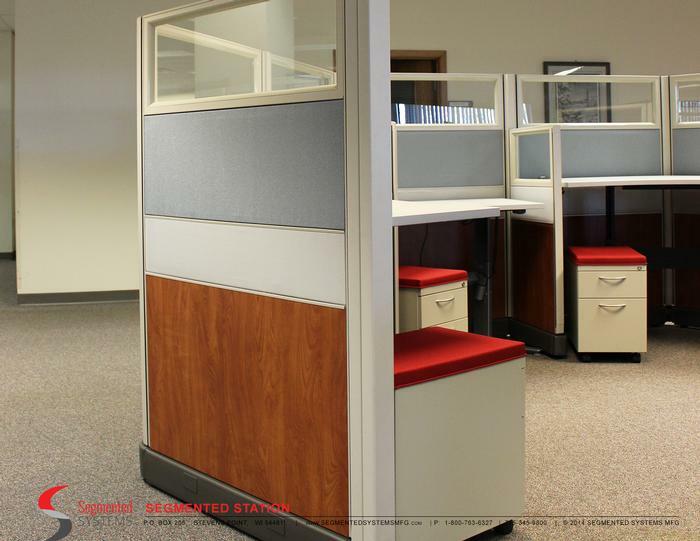 It too is on an adjustable height base to accommodate various seating and standing heights. 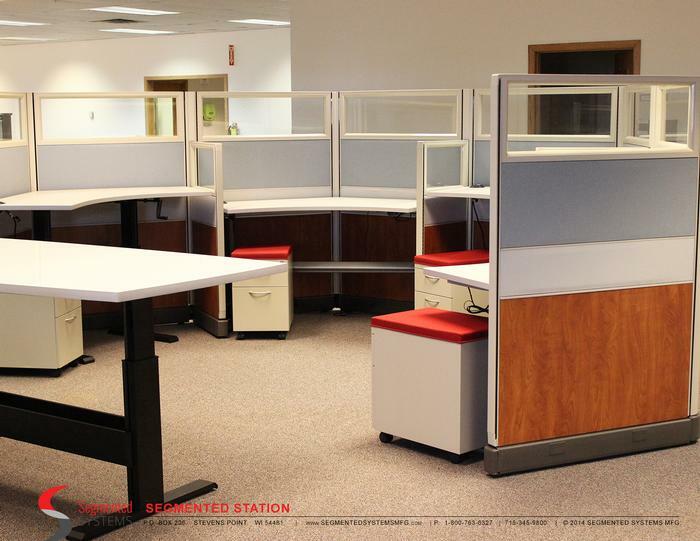 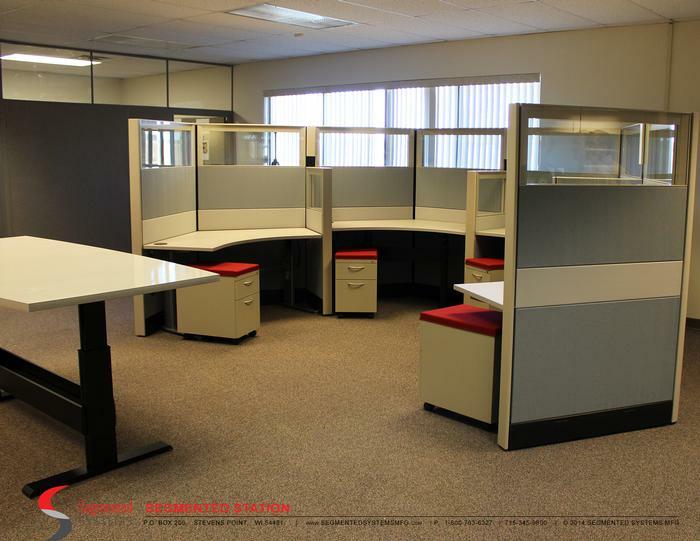 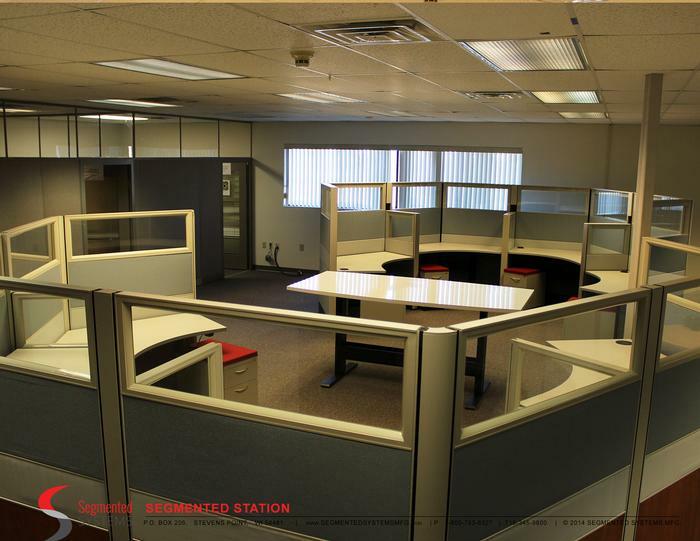 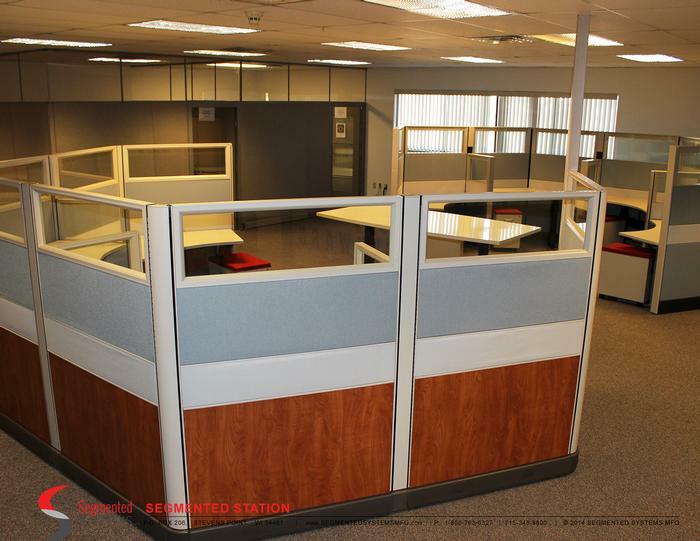 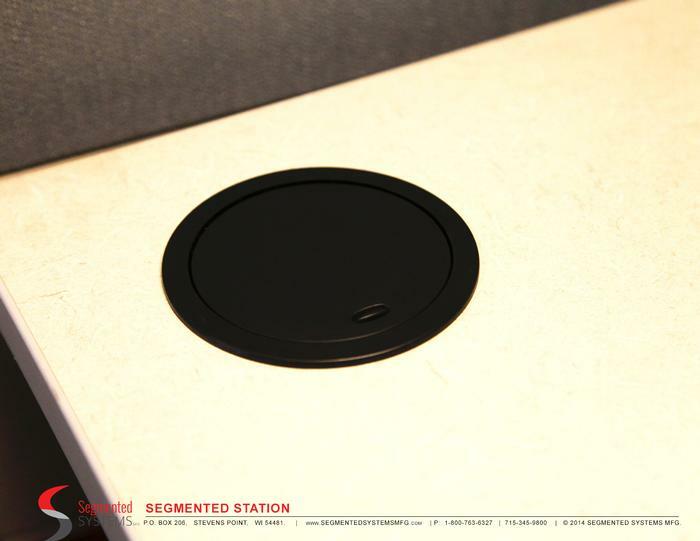 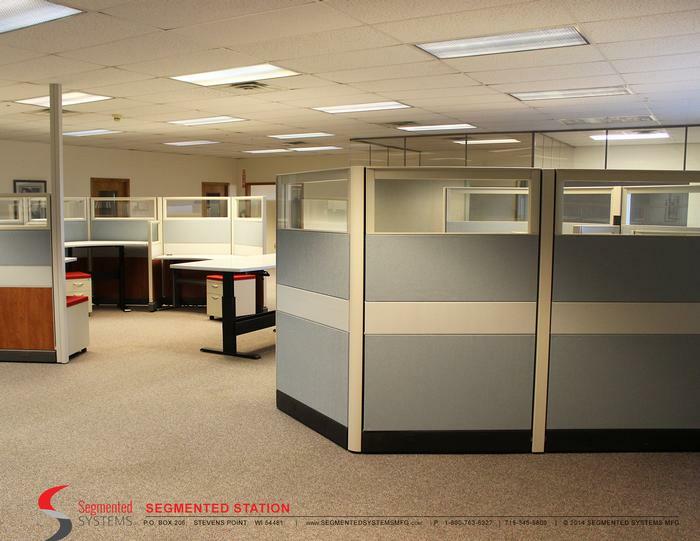 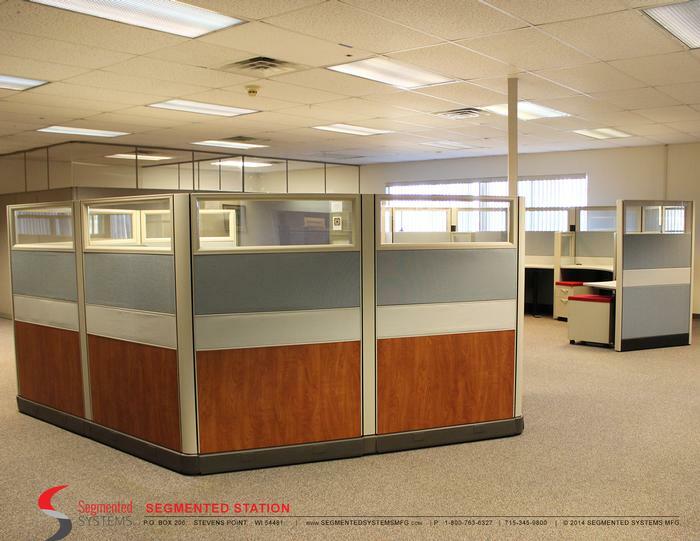 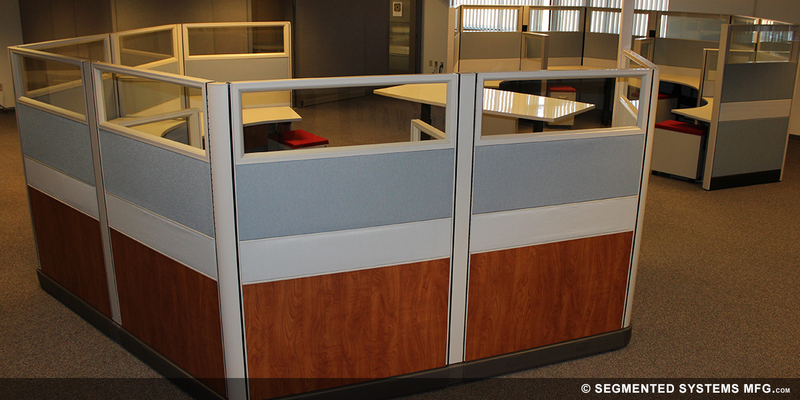 The Segmented systems uses a combination of fabric, tackable acoustic, and laminate surface panel bases and segments.